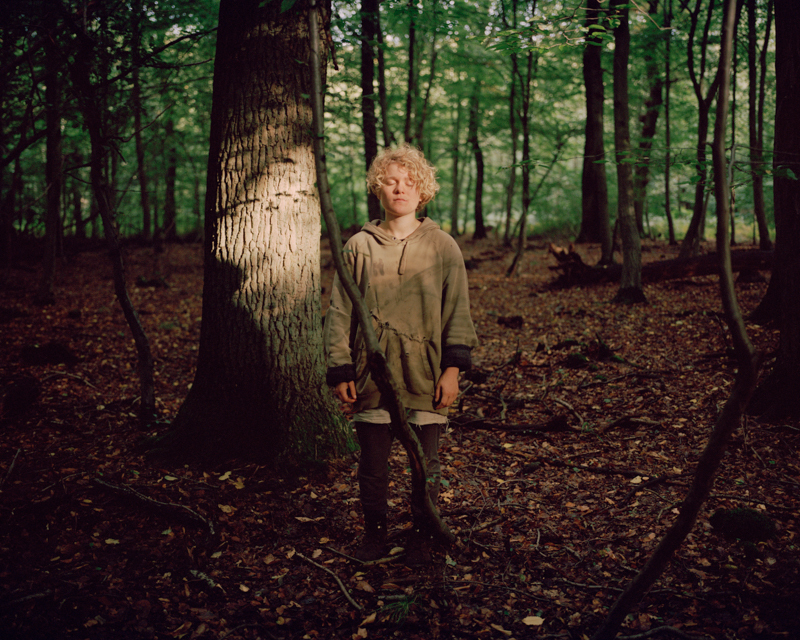 Daniel Chatard was born in Heidelberg, Germany in 1996. 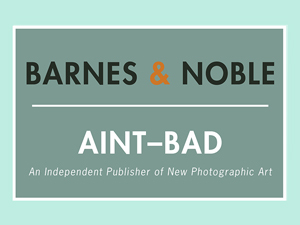 He discovered his passion for photography when traveling through the United States for some months in 2014. 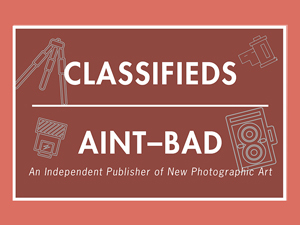 In 2015, he started studying photojournalism and documentary photography. 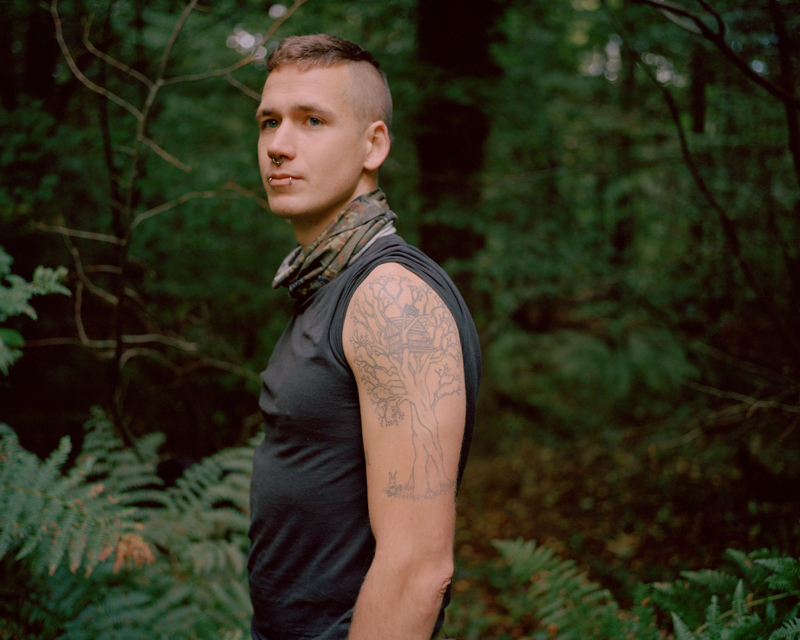 Daniel’s project „No man’s land” has been supported by the „BFF-Förderpreis“, a grant he won in 2017. He had already been interested in environmental topics before and started working on the project after he heard that people in Germany still get resettled in order to mine for coal. 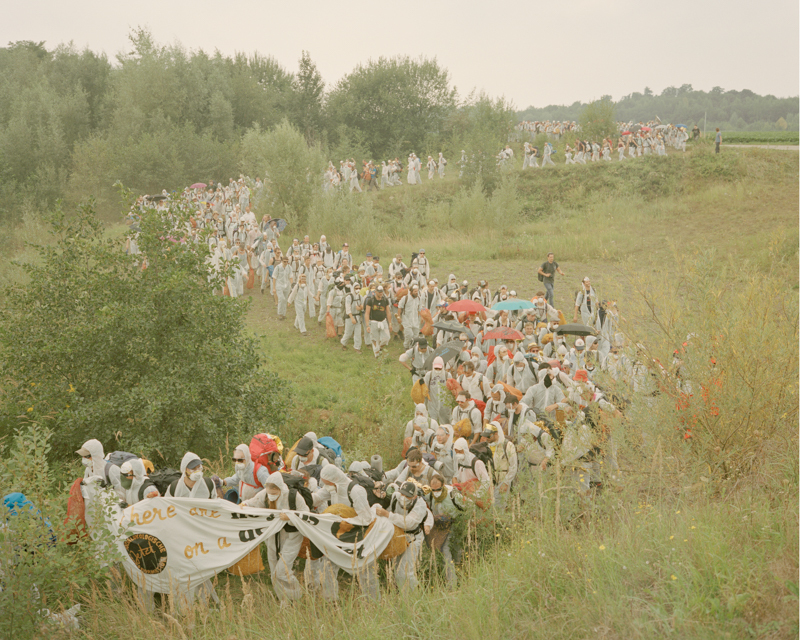 In November 2017, several hundred activists of the coalition for action “Ende Gelände” managed to get into the coal mine. Police officers and private security blocked their way to a digger. An earthwall seperates the rest of the forest from an area that has already been clear cut. Only 10 percent of the original forest remains today. “Clumsy” was already part of the first forest occupation in 2012 and has since lived there most of the time. Even when being in the tree tops, the permanent noise of the diggers can’t be unheard. Day and night. 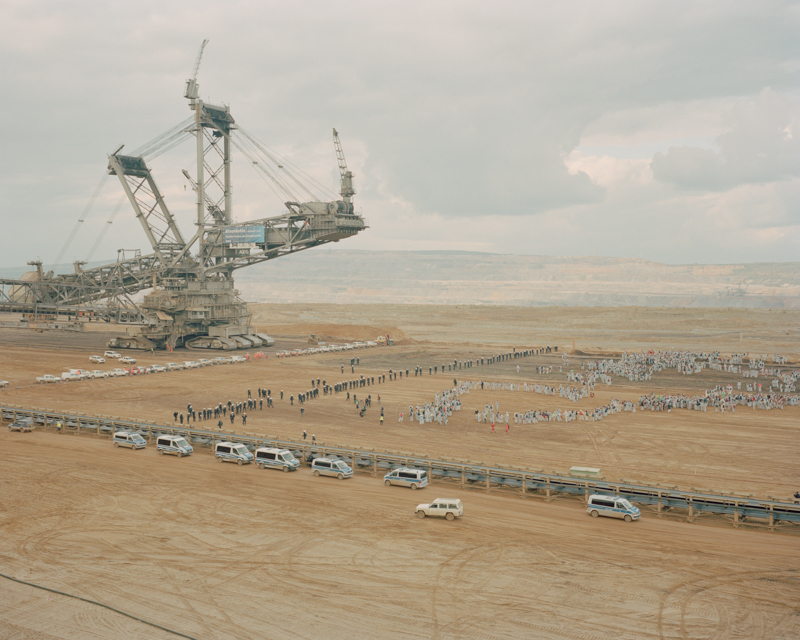 They are moving closer and closer, to further enlarge the lignite mine of Hambach. Between the trees and the pit, there is a zone of maybe 200 meters. 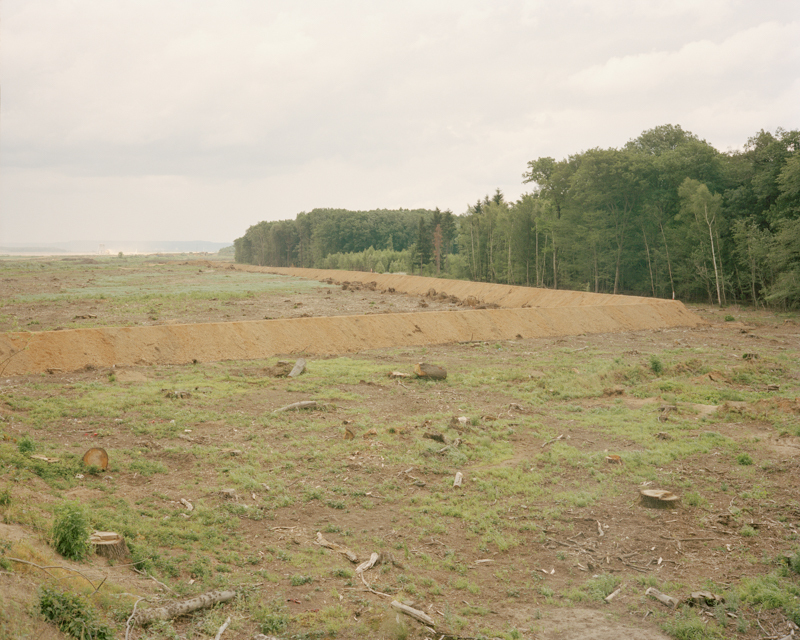 Here, the forest has already been cleared, it is the border between nature and ecological destruction, the no man’s land. Together with the neighboring open pit mines Garzweiler and Inden, Hambach forms Europe’s largest source of CO2 emissions. Everything must give way to the mine: not only the trees of the Hambacher Forst, but also fields, even villages. But for six years, activists are trying to save the remains of the forest by occupying it. Over the whole year, they’re living in tree houses in the woods to prevent them from being cut. They’re not the only ones anymore, who are opposing the operator of the mines, RWE. Likewise, the coalition for action “Ende Gelände” tries to counter the corporation with means of civil disobedience. In 2017, they performed several actions, blocking the infrastructure, such as railway tracks or the pit itself, with their bodies. Several thousand activists participated. Nevertheless, RWE continues to mine for the most climate-damaging source of energy. 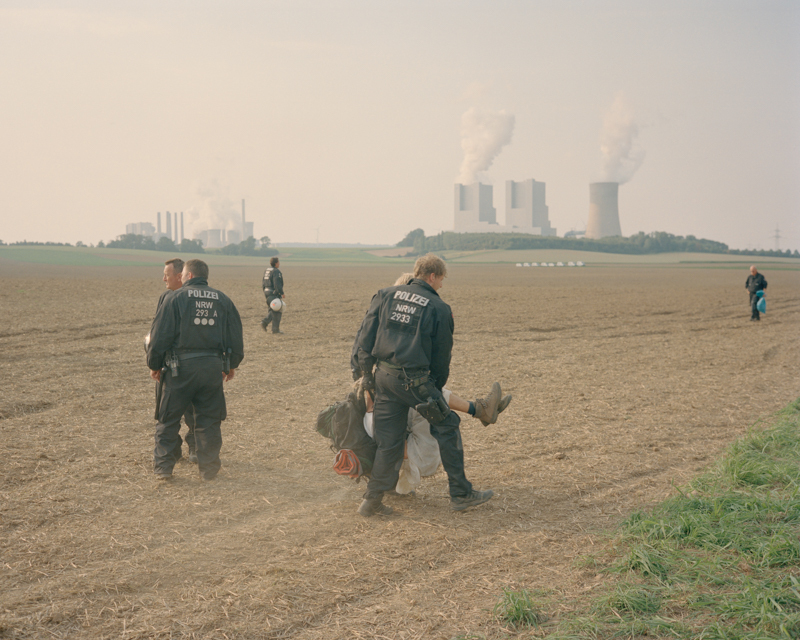 For the inhabitants of Manheim or Immerath, such as for the Hambacher Forst, every protest will probably be too late. 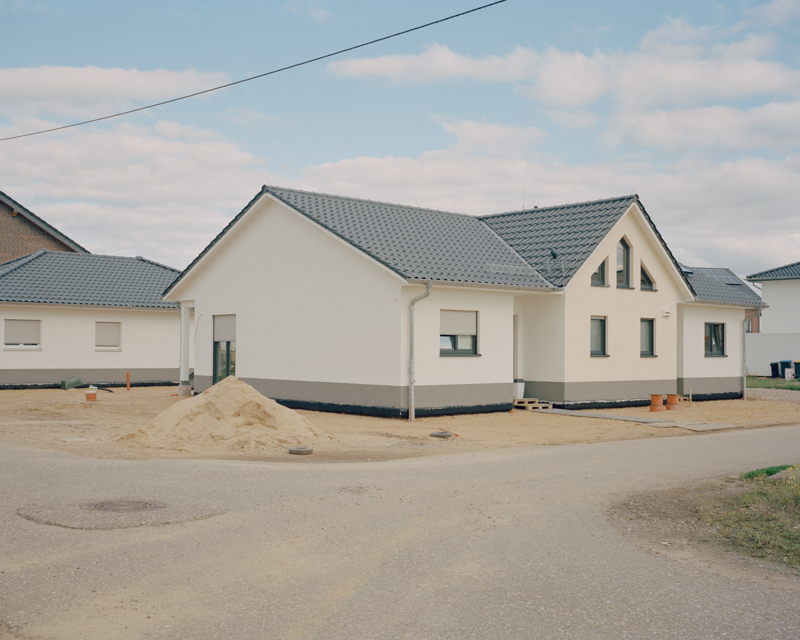 These villages share the fate with many others of being resettled in favor of the lignite. 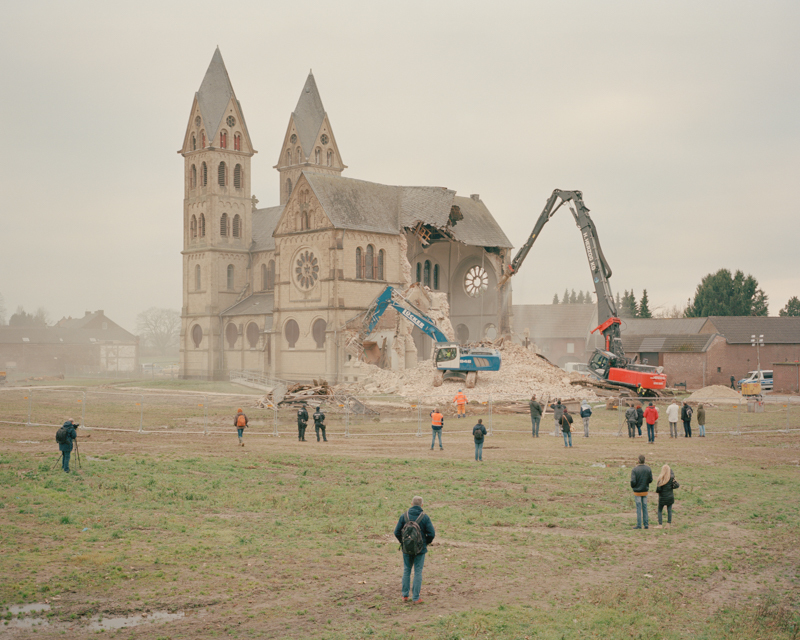 The last families soon will have left Immerath. The residents of Manheim still have time until 2022, to give up their village – for the sake of the public, as the politics are argumenting. 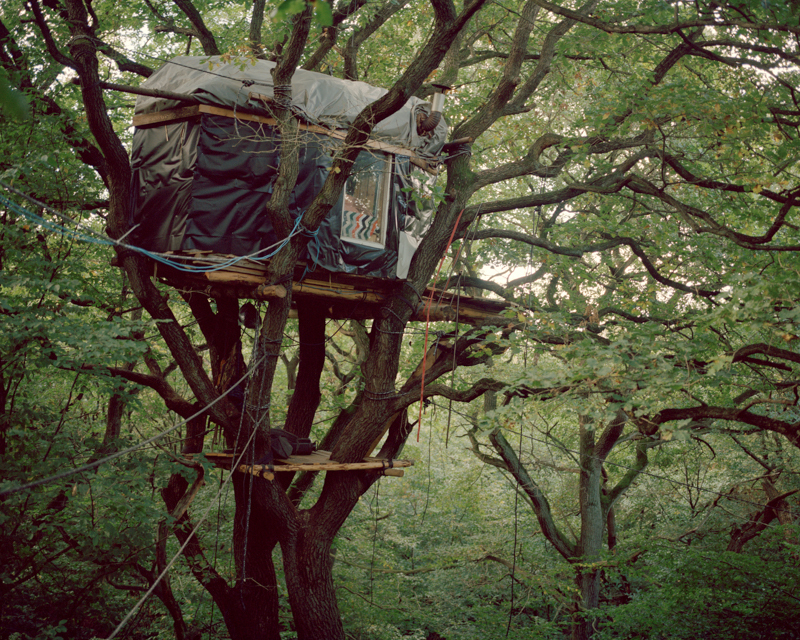 The occupation in the forest counts more than twenty tree houses, the highest one being 25 meters above the ground. “Robin” has lived in the forest for several months. Out of fear of repressions by the police, almost no one at the occupation uses their real name. Demonstrators of the coalition for action “Ende Gelände” evade a police blockade and climb a hill back on the street. Police officers carry away a demonstrator part of a group of hundreds of demonstrators that have been encircled. In the background can be seen the coal power station, Neurath. 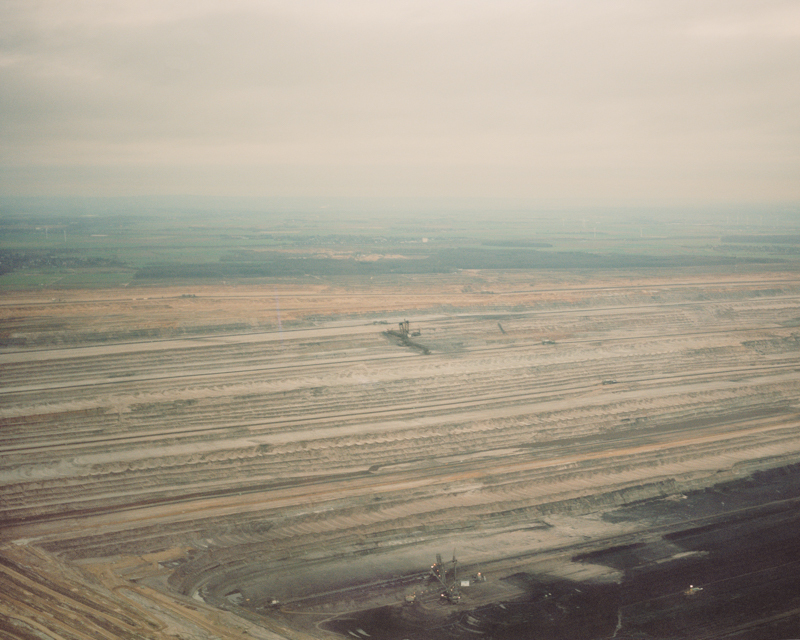 An aerial view upon the border of the opencast mine Hambach, as well as the remaining part of Hambacher Forst. The pit is up to 380 meters deep. For the enlargement of the coal mine Garzweiler, the church “St. Lambertus” in Immerath was demolished in January 2018. The relocation site Manheim-neu lies some kilometers away from Manheim. The building start was in 2011. 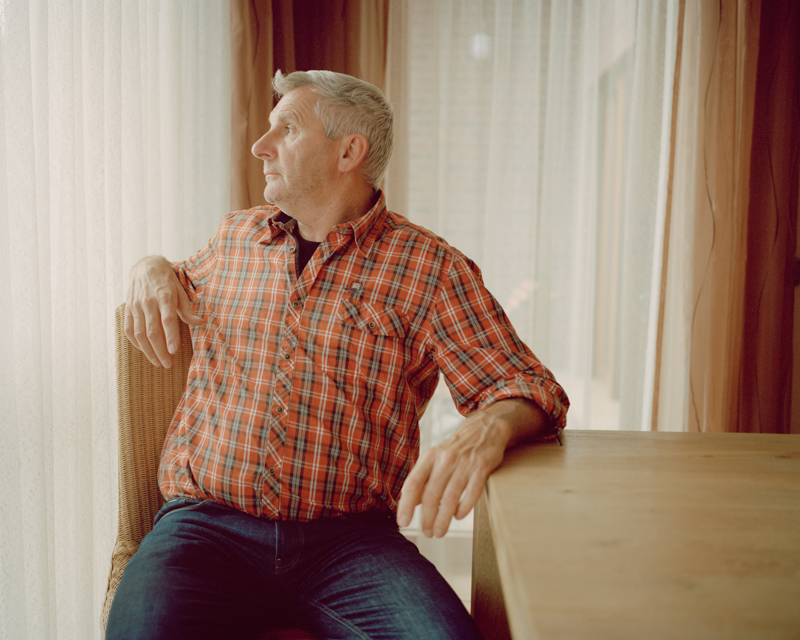 Willi Hoffmann was born in Etzweiler and has lived there until his resettlement in 2001. At this point, he was the last inhabitant of the village. Etzweiler today doesn’t exist anymore. 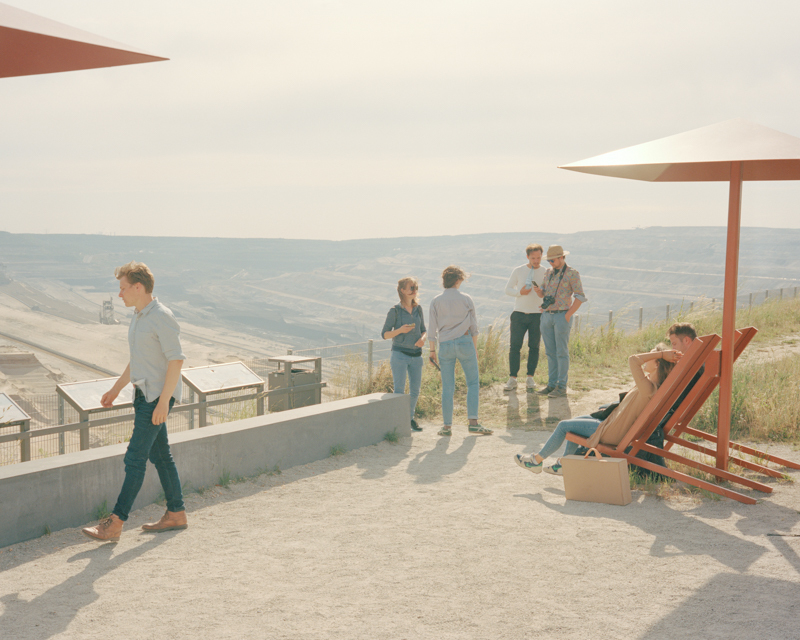 The observation deck “terra nova” has been built by RWE and offers visitors a view over the coal mine. To view more of Daniel Chatard’s work please visit his website.